Ravindra Jadeja and R Ashwin have 866 and 811 points respectively, while South African duo of Kagiso Rabada (882) and Vernon Philander (826) are placed in the second and fourth spot respectively. 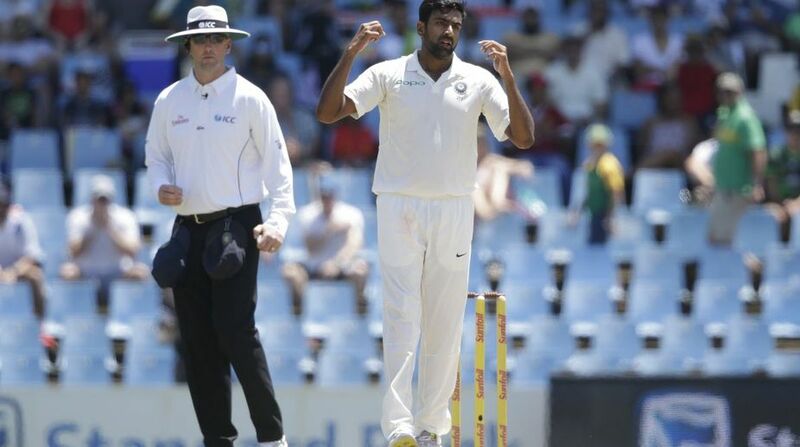 India’s spin duo of Ravindra Jadeja and Ravichandran Ashwin held on to the third and fifth position respectively in the latest ICC Test rankings for bowlers, which was headed by England pacer James Anderson ahead of the five-match Test series starting in Birmingham on August 1. Anderson, who claimed nine wickets in England’s drawn two-Test series at home against Pakistan earlier this summer, has 892 points, while Rabada slipped to second despite claiming eight wickets during the two Tests in the Proteas’ 2-0 series defeat in Sri Lanka. In the ICC Test ranking for batsmen, Virat Kohli was at the second position, while Cheteshwar Pujara was placed at the sixth spot. Joe Root was the only England batsman in the top 10 which is still being headed by Steve Smith, who is currently serving a 12 month ban due to his involvement in ball tampering. Two Indian and as many English players found a place in the top 10 of ICC ranking for all-rounders with Jadeja and Ashwin at the second and fourth place and Ben Stokes and Moeen Ali grabbing the sixth and seventh spot respectively.